There is a global war more devastating than the greatest armed conflict. As outlined clearly in the book by Dr Colin Holloway and Michail Borissenko, Microbe Apocalypse, this war is between man’s health and the ever-increasing invasions of the silent microbes. You know the enemy by their names: E. coli, Salmonella, Influenza, Meningitis, Pneumonia, Rotavirus, AIDS, Strep throat. They affect everyone; it’s a war of survival and if we don’t take action now, it looks like we are at the losing end. It’s disruptive, may even prevent us from going to work or cause us to miss out on an important event. But nonetheless, we shrug it off, and ask, what can we do about it? We can’t live in a microbe-free glass bubble, can we? Imagine a typical day – you may travel to work on the bus or MRT in Singapore, where you are in close contact with many others, you stay in an air-conditioned building the rest of the day, and travel back home after work on the bus or MRT. In all these situations, the air is circulating constantly, and carried with it, are countless germs, all looking for a home. It’s worse if you come into close proximity with someone who is not well. Someone with the common cold. Do you know that a sneeze reportedly explodes from the mouth and nostrils at 40 miles per hour, as opposed to the relatively gentle five miles per hour for normal breathing? And hitching a ride on every minute droplet expelled by that sneeze are countless homeless viruses, all hoping to encounter someone like you! Infections enter our body in many different ways – through our skin, eyes, ears, nose and mouth. The gastric juices in the stomach destroy many micro-organisms, but many more may penetrate into the body or the intestines – up to 80% of infections get into the gut, where they attach themselves onto the gut wall and start to multiply. Our defence is our immune system: over one trillion specialized warriors, on duty 24 hours a day, vigilantly destroying and mopping up viruses, bacteria, yeast, tumour cells, and toxins. That we survive at all is due to its incredible complexity – without our immune system, we would die from even the simplest infection. But the question is, is our immune system strong enough to win the war? Unfortunately, no. Before, you throw up your hands in despair, take heart. Nature does have the answer for us: Colostrum. According to the scientists at The Institute of Colostrum Research (ICR), there is only one product designed by nature, to boost the human immune system. It is a broad spectrum, highly complex solution, yet simple to take. Colostrum is literally “nature’s first food.” It is the pre-milk fluid that all female mammals give to their newborn baby in the first few days after birth. It is not “milk”; it is the whole “functional” food that a baby needs to protect itself against the diseases it will be exposed to, and assists with the development of the newborn into a strong and healthy adult. Each drop contains the promise of life: immunoglobulins, growth factors, antibodies, vitamins, minerals, enzymes, amino acids, and other substances designed to help the body face a lifetime of invasion by the microbes bent on destruction. Bovine colostrums is perfect for human consumption because it is not species-specific. It contains up to 20 times more immune factors than human colostrums. One of the world’s best quality colostrums comes from New Zealand. New Zealand colostrums is certified to be free from BSE’s (Mad Cow Disease). New Zealand’s cattle are pasture-fed and are free of diseases like Mad Cow Disease and foot-and-mouth. So, if you want to be healthy, tap into nature’s solution daily – Colostrum! 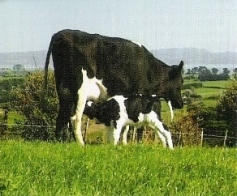 To find out how to order colostrum from New Zealand in Singapore, click here.